BALTIMORE — The Baltimore Orioles will look to keep their early-season momentum going against division opponents in a three-game series against the Tampa Bay Rays that begins Monday at Camden Yards. The Orioles (12-5) have yet to lose a series this year and are 10-4 against their American League East foes. The Rays, meanwhile, are just 1-6 on the road. Baltimore won two of three against the Boston Red Sox over the weekend and is playing with confidence. However, Orioles manager Buck Showalter is not putting too much stock in the standings this early in the season. Right-hander Ubaldo Jimenez (1-0, 5.51 ERA) starts the series opener against Tampa Bay. On Wednesday against the Cincinnati Reds, Jimenez had one of his best outings since signing with the Orioles in 2014. He threw 7 2/3 scoreless innings, allowing just two hits. That was a big improvement from his previous two starts, in which he didn’t pitch past the fifth inning either time. Tampa Bay lost two of three games against the Houston Astros over the weekend. The next challenge will be even more difficult against Baltimore. 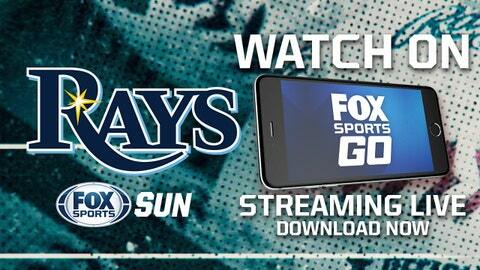 The Rays open the series with ace Chris Archer (2-0, 3.20 ERA). Archer has recorded 27 strikeouts against just eight walks. Archer will face a powerful Orioles lineup that has slugged 23 home runs. Baltimore also has managed to win despite missing some key players because of injuries, including No. 1 starter Chris Tillman, closer Zach Britton and utility outfielder Joey Rickard. The Rays have also battled through injuries. Right-hander Jake Odorizzi went on the 10-day disabled April 16 with a strained left hamstring. He could return Wednesday. Right-hander Brad Boxberger (flexor strain) is not expected back until June, and right-hander Tommy Hunter also had to leave the game Saturday with a tight right calf and was placed on the 10-day DL on Sunday. Archer enters his Monday start with a 3-6 record and a 4.50 ERA in 14 career games (13 starts) against the Orioles. Jimenez is 5-2 with a 3.19 ERA in eight career starts vs. the Rays.